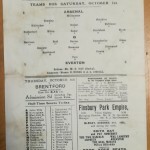 This is an original programme from Arsenal’s Division One clash against Everton at Highbury on 1st October 1921. Inside Forward Henry Albert White scored the only goal of the game to give Arsenal a 1 – 0 win. 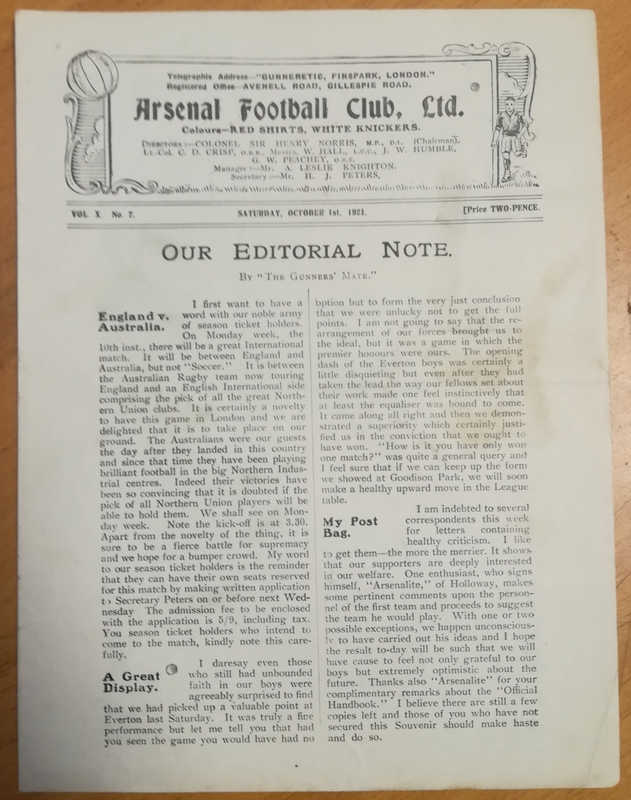 The victory would be one of only ten that season, as The Gunners went on to finish 17th. Everton would finish 20th. White spent four years at Arsenal, leaving in 1923 after scoring 40 goals in 101 league appearances. 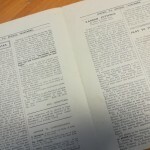 A man of many sporting talents, he also played eight first class matches for Warwickshire at a cricketer.